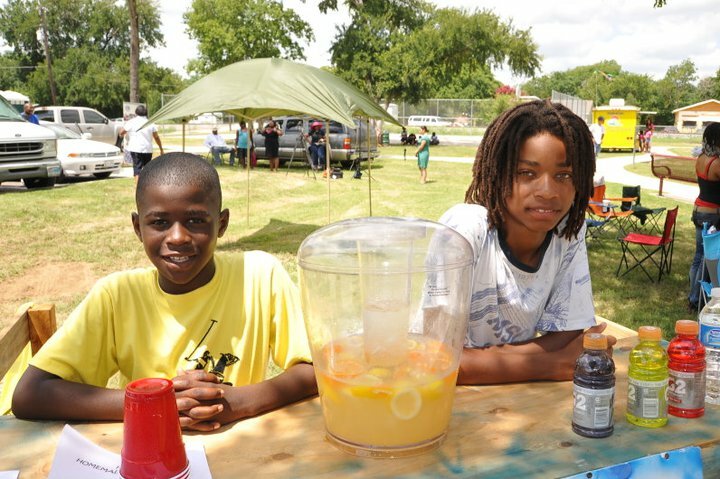 The Bastrop Juneteenth Celebration is held the third weekend in June each year. 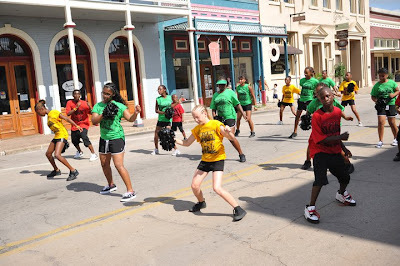 The Bastrop Juneteenth Celebration facebook page aptly proclaims, "Juneteenth, also known as Freedom Day or Emancipation Day, is an annual holiday in 14 states. Originating in Texas, it commemorates the day freedom was proclaimed to all slaves in Texas by Union General Gordon Granger on June 19th, 1865 in Galveston, Texas. This occurred almost two years after President Abraham Lincoln signed the Emancipation Proclamation in 1863. News was slow to get to Texas, but we have been celebrating ever since." 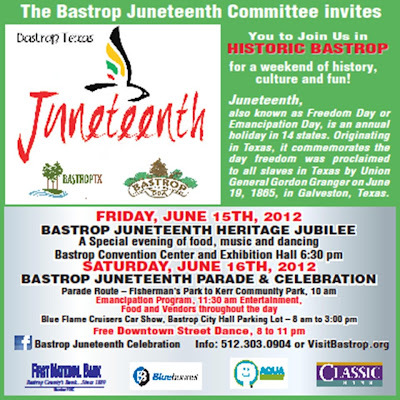 This year, the Bastrop Juneteenth Celebration will be held on Friday and Saturday, June 15th-16th. There will be a Juneteenth Heritage Jubilee, a Juneteenth Parade, an Emancipation Program, the Blue Flame Cruisers Car Show, and a Downtown Street Dance. To view a video showcasing all of the events and activities, click here. 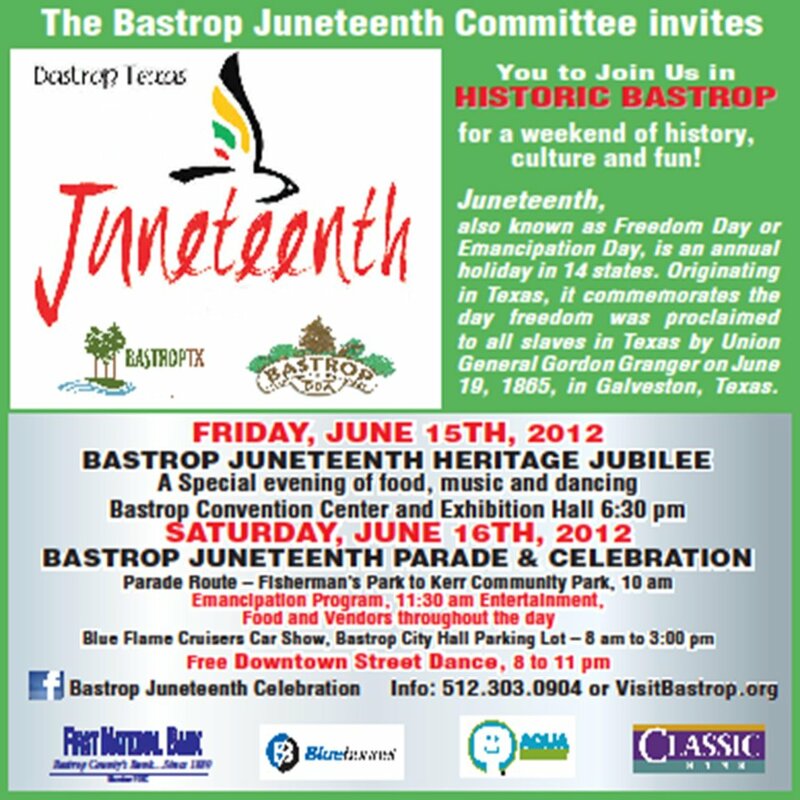 Juneteenth Heritage Jubilee, 6pm at the Bastrop Convention & Exhibition Center. There will be food, music, and dancing. Tickets are $25 each or $250.00 for a table of 8. SOLD OUT!!! 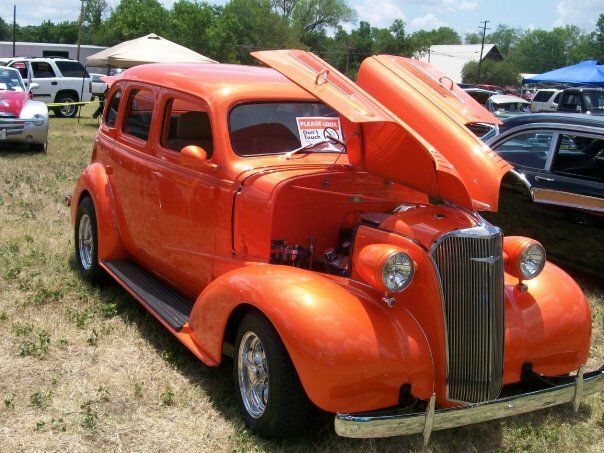 Blue Flame Cruisers Car & Bike Show, 8am-2pm in the Bastrop City Hall parking lot, located at 1311 Chestnut Street in Bastrop. Prizes for Best Car, Truck, Motorcycle, Kid's Choice, and Juneteenth Committee Pick. $20 entry fee per vehicle. Admission for viewing is FREE and open to the public. For more info, click here. Parade & Celebration, 10am at Fisherman's Park and travels through historic downtown Bastrop until the final destination of Kerr Community Park. Admission is FREE and open to the public. 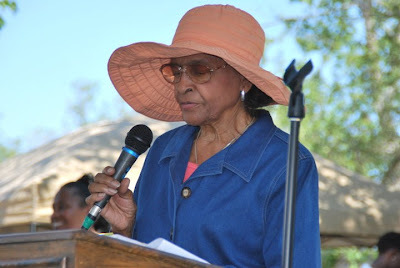 Emancipation Program, 11:30am at Kerr Community Park, located at the corner of MLK and Walnut Streets. There will be live music, speakers and entertainment. Admission is FREEand open to the public. 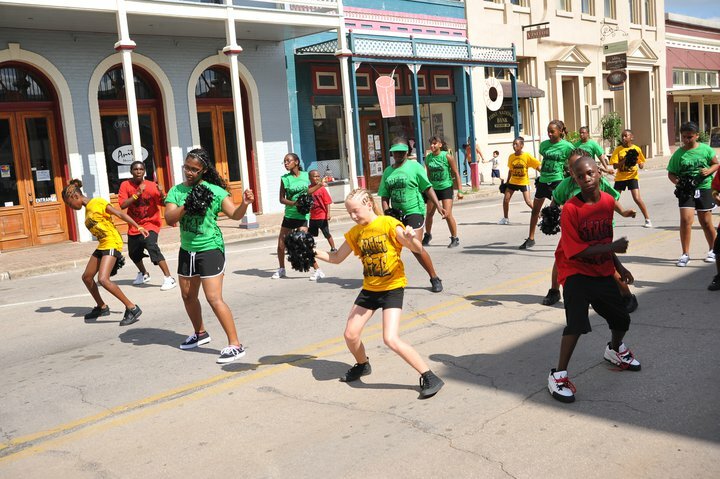 Downtown Street Dance, 8-11pm on Main Street in downtown Bastrop on Main Street. Admission is FREE and open to the public.